It’s that time of the year again, where splashes of red and gold seem to adorn every street in Hong Kong in preparation for Chinese New Year. Stands are popping up left and right selling everything from little token pig accessories, to Chinese calligraphy banners to gifts such as tea, sweets and of course: red lai see. Read on to learn all the dos and don'ts when it comes to receiving red pockets. To some, giving and receiving lai see may be second nature, but to others, especially those new to Chinese culture, it can be a source of stress as there is a certain lai see code of conduct that should be respected. To help you avoid any social faux-pas, we have put together a quick do’s and don’ts list to ensure that you breeze through Chinese New Year gaffe-free. Do not give or receive lai see with just one hand. Do hold the red envelope with two hands when giving and receiving. Do not have your children give lai see to anyone. Do follow the big to small or senior to junior rule. For example: parents to kids, boss to employees and married couples to single, younger relatives. Do not give multiple notes in one packet. Do give either a single bill or two packets with one bill each. Do not give increments of four or odd numbers. Do keep the amount to even numbers. The number 4 is considered an unlucky number as it sounds like the Chinese word for “death”. Do not give coins or crumpled up notes. Do give a crisp bill fresh from the bank. We suggest going to the bank a few days early to avoid last-minute queues. Do not check the amount in front of the receiver before giving it to him/her. Do have the different denominations housed in differently designed packets. Lai see amounts will vary depending on how well you are acquainted with the receiver so staying organised will make it easy for you to know exactly how much you are giving. Do not open your lai see in front of the person giving it to you. Do wait until he or she leaves to open your packet. Opening it in front of them will make you seem too eager to see how much you received. Do not give your lai see after Chinese New Year celebrations. These eight rules should keep you in everyone’s good graces. 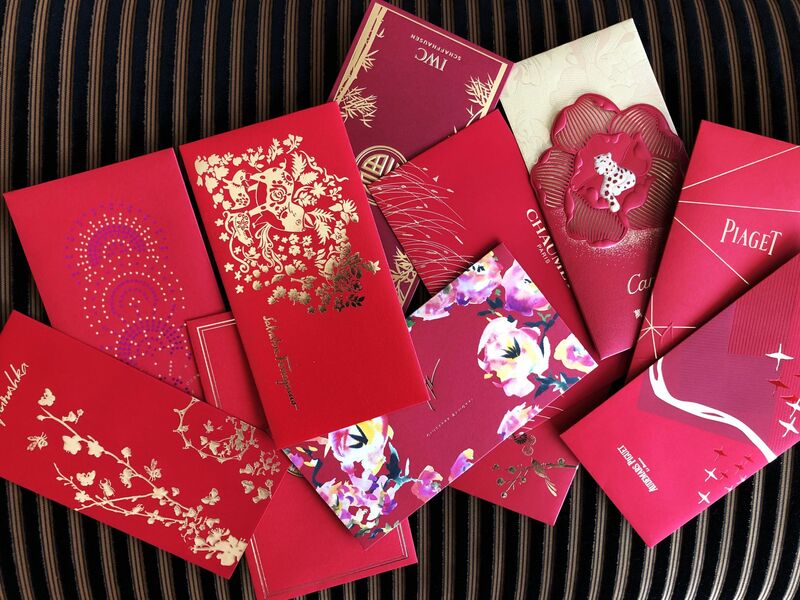 While most of the lai see you find will be red, the most auspicious colour, feel free to have fun with the more colourful envelopes available.